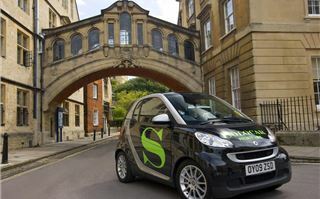 Guest Test of 2009 Smart ForTwo diesel by Martin Gurdon. 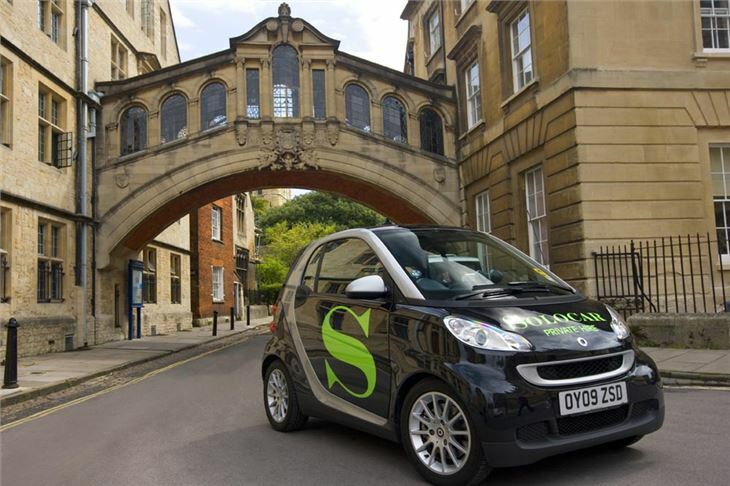 It’s a sign of the times that that Smart has launched an ultra-low emission, diesel version of its second-generation Fourtwo city car in Britain. Previously, it thought no one would buy it here. 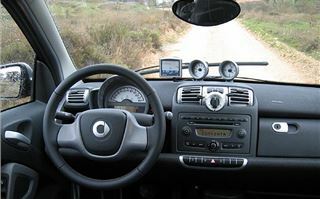 A mix of economic pressures and environmental concerns led to a change of mind, and the car arrived in the summer of 2009, with claims that it was the cleanest off-the-shelf mass-market car available. 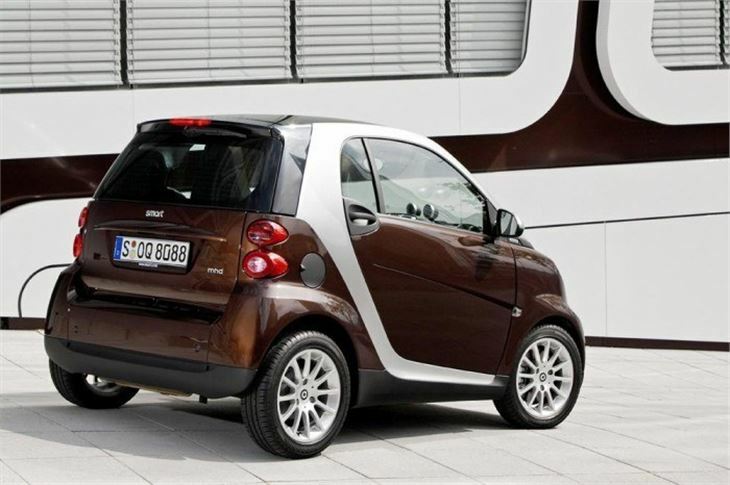 Powered by a 799cc, three-cylinder common rail turbo-diesel mated to a five-speed transmission, the car produces 88g/km of CO2, and is theoretically capable of almost 85mpg. 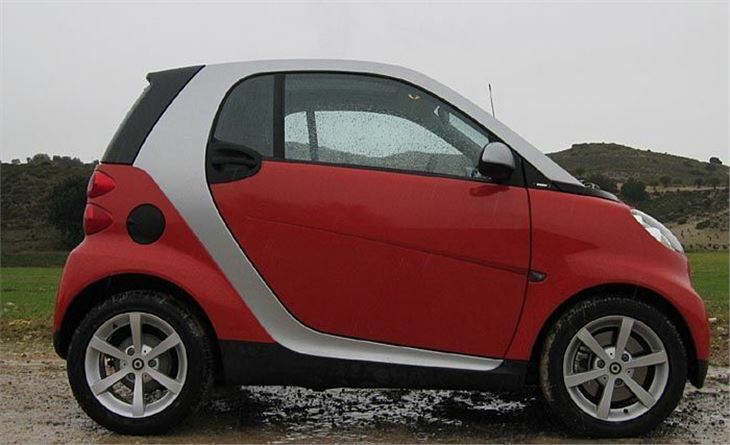 The diminutive, light, two-seat Smart is an ideal platform for this sort of thing, but the diesel motor’s 45bhp power output isn’t going to make it a hotrod. 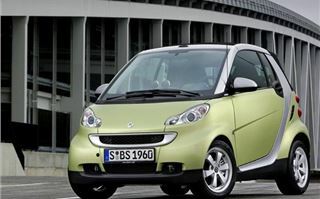 Smart claims a top speed of around 85mph, and a 0-62 of almost 20 seconds. These are figures that don’t look great on paper, but in reality, the car feels perfectly sprightly, and is a surprisingly relaxed motorway cruiser, since 3,000rpm equates to around 75mph. It is susceptible to motorway cross winds, and sometimes passing trucks will cause it to jink slightly, but given that the car has a very short wheelbase and is over five foot tall, this is hardly a surprise. Take a passenger and you’ll notice it working a bit harder, ditto using the air conditioning, and the car Smart need to be rowed along with the gears to keep up with everything else, in a way that is unlikely to help it hit that claimed 85mpg, but normal driving it should comfortably yield 60-plus mpg, and it’s actually exempt from road tax. Stand outside and the car sounds like a big ride-on motor mower, but inside its smooth enough, and if not especially quiet, its deep engine not is far from unpleasant, and at cruising speeds it’s pretty unobtrusive. 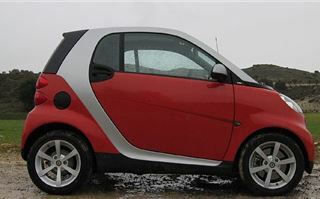 This Smart has stuck with the model’s rather flaccid, five-speed, self-shifting transmission with a neat manual override that allows gears to be changed by rowing the selector forwards or back. Get it to shift ratios automatically and it still feels as if someone’s dabbing the brakes between changes, as these are often accompanied by a slight pitching lurch. The system has improved over time, but still lets the car down. 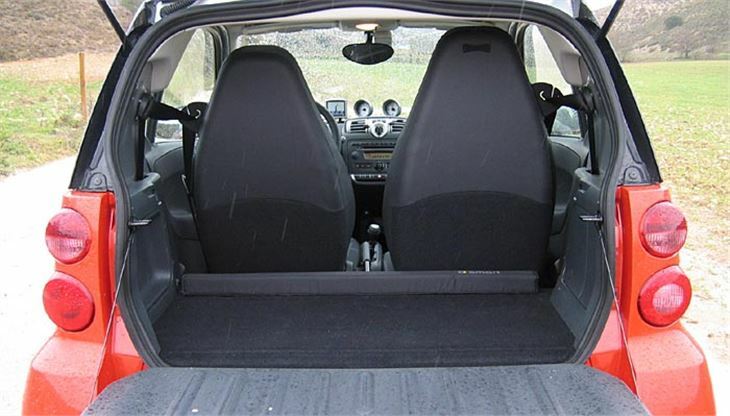 Swift engagement of first and reverse during tight parking manoeuvres can stress it out too. In reverse, this sometimes results in no drive at all, a lot of revving, and the car free-wheeling alarmingly. It’s fitted with a hill hold device, but our example’s had a mind of its own, and on one occasion the car nearly rolled into a hedge. This is a great pity, because the Fourtwo’s compactness and tight turning circle allow it to squeeze into tiny gaps denied other cars. Changing gears yourself improves things smoothness-wise. Lifting off the accelerator as each gear is selected seemed to get the best out of this flawed system. 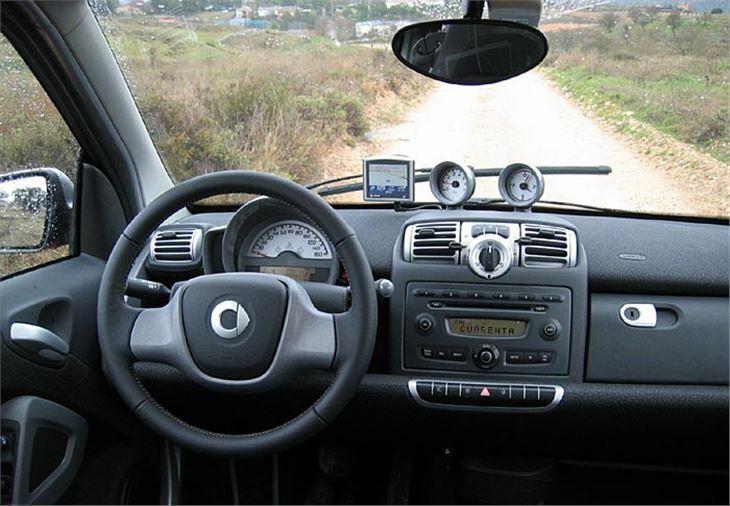 The steering is completely accurate, if lifeless, and on dry, undulating roads the car stuck to its line and displayed levels of grip that would surprise anybody who hasn’t driven one before. Sometimes you’re aware that its motive power is located about six inches behind your kidneys. There’s a sense the car being pushed into corners, and I suspect that total stupidity on wet or icy surfaces could result in it going backwards, but sportscar dynamics are not what this thing is about. Given the car’s upright stance and short wheelbase, its jiggly ride is hardly a surprise, but it’s rarely actively uncomfortable. 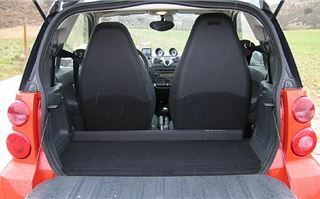 Good points include a decent amount of cabin room for two, and although the boot looks tiny, it’s deeper than you’d imagine, and the front passenger seat can be folded flat to increase stowage space. Given that the car isn’t actually fun to drive, it makes up for it in other ways. Its shape remains cute, and there are some nice touches, including the glass roof with a neat, folding blind. 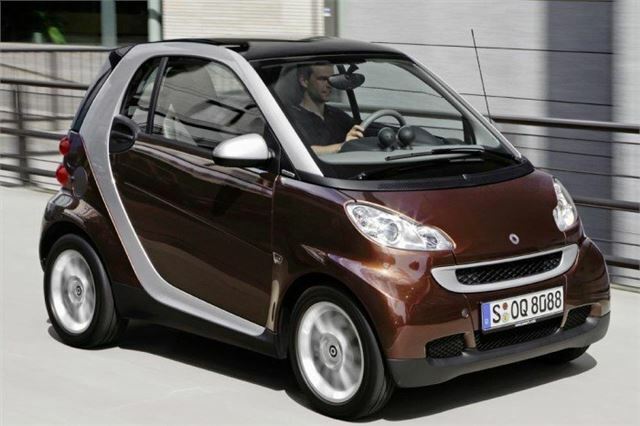 A lot of people who saw the Smart whilst it was with us made “I wouldn’t want to be in a crash in something that small” comments, which is ironic, given that its clever structure is actually very strong; and the Smart’s use of detachable plastic panels (making repairs or changing its colour easy) remains a great idea. 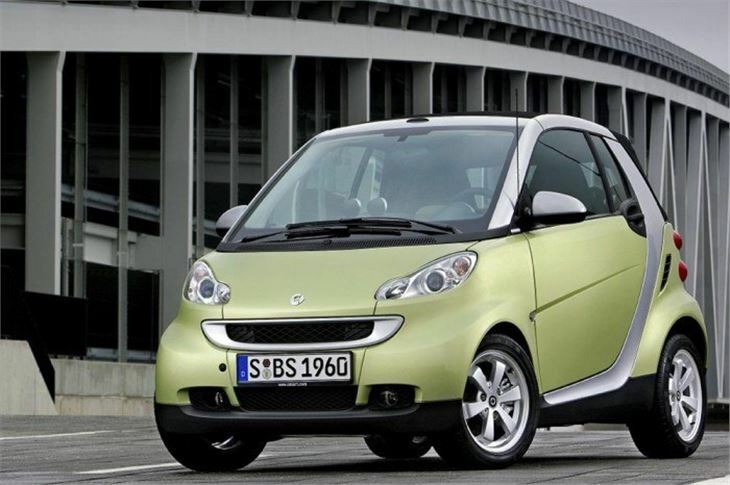 Actually, the Smart itself is a great idea, and stuffing an easy-to-live-with, ultra-clean diesel engine into it makes a lot of sense. The end result suits the car, but for all its merits it’s hard to recommend. The transmission is simply not as user-friendly as conventional systems, and this Fourtwo Passion diesel is very expensive. In bog-standard form it costs just under £9k – we carried out an unscientific vox pop, and most people expected it would go for about £5,000. 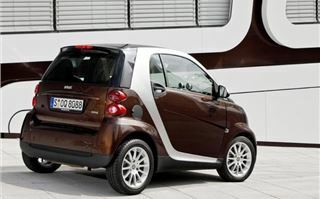 You can buy all sorts of four-seater superminis for the same money or a lot less than Smart wants for its tiny diesel. This side of Toyota’s brilliant-but-even-more- expensive iQ, there’s still nothing quite like the Smart, but you’d have to really want this one to spend so much money on it.